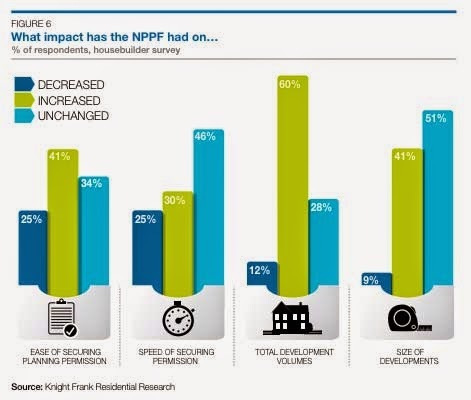 A report from Knight Frank has confirmed what most people in the property industry know: activity in the housebuilding sector has continued to pick up over the last year, but the supply of new homes is still falling well short of demand. 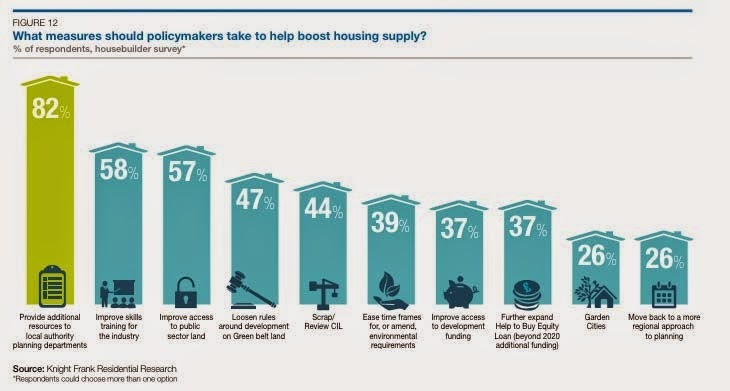 Not surprisingly, the report concludes that boosting supply where new housing is most keenly needed is a key priority if the UK housing market is to avoid long-term distortion. This is a conclusion shared by the majority of the national political parties and housebuilders – but as we know what happens on the ground locally can be in stark contrast. The research looked at the many factors influencing the housebuilding sector, from policy to planning and its labour market, as well as how the sector may perform in the years to come. Only 9% of respondents said that under current market conditions it would be possible to deliver more than 200,000 homes a year, every year. More than 90% of respondents are expecting construction costs to rise again over the next 12 months and two-thirds expect that development land prices will rise again this year. Rising labour and build costs are expected to pose the greatest risk to the sector in the coming year. An estimated 56% of respondents said the Community Infrastructure Levy (CIL) was weighing on development volumes. The biggest policy change that would help boost development volumes would be recruiting more people to Local Authority planning departments. Knight Frank's report is well worth a read and can be found here.